Are you a bird lover? Do you have some bird pets at your home? There was a time when I used to love this activity for killing time. I used to feed them with love and care, and I was always concerned about their shelter. I used to make wooden coop for chicken. But these coops were not as wide and spacious as they should have been. So you could do something for your beloved bird chicken. 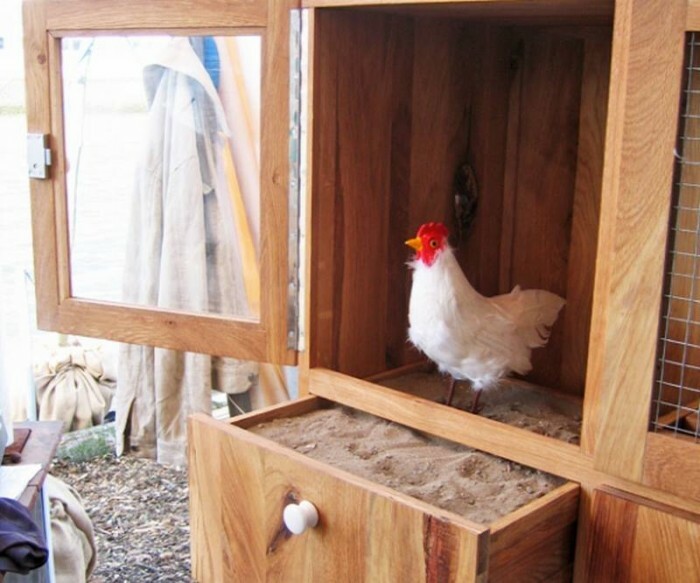 You could make a creative chicken cabinet with wood. This amazing art craft is a best place for your chicken to live in. If you are planning about rearing chickens in your backyard, the first thing you are supposed to do even before bringing chickens home, is to make a spacious roomy chicken coop for them to live in. because you can not tolerate them walking indoors and spreading dirt in every nuke and corner. Neither you can endure the voices inside your home. So to refrain them from wandering every where you have to provide them proper shelter. 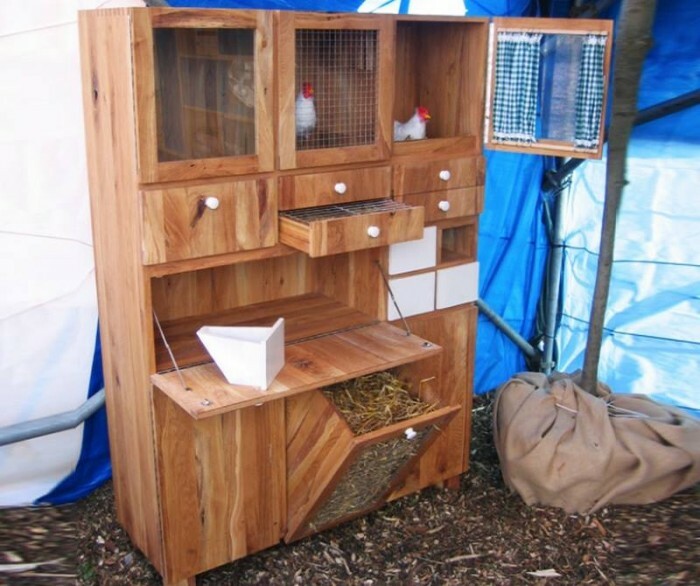 How would it sound if we ask you to make a creative wood chicken cabinet for your birds. This would be a different and exceptional idea for your pets. 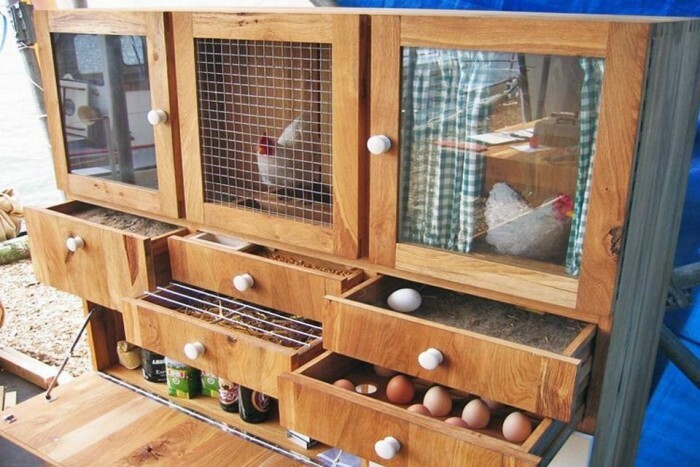 You must give a try to chicken cabinet shown in the below project. 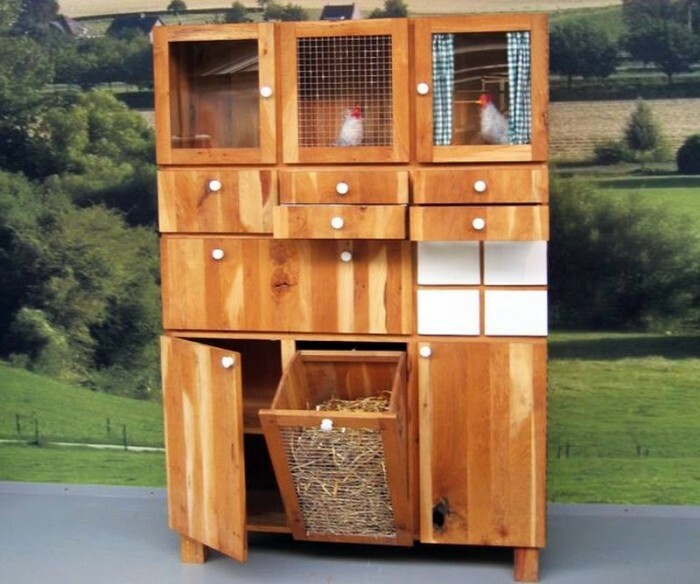 This is a unique and different cabinet for your chicken. It is very well equipped for sheltering your pet chickens. Its upper most portion is best place for chicken to sleep and relax. While the lower cabinets give you the freedom to save its laid eggs there in each drawer according to their quantity. You can also store their drinking water in a container and all other necessary stuff in their growth. This is a most well planned art craft for your pet chicken.